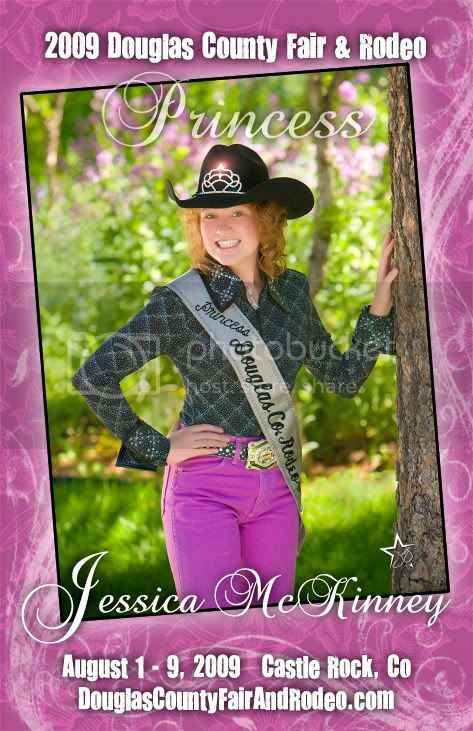 Meet Jessica McKinney- the 2008-2009 Douglas County Rodeo Princess! This little lady put in some hard work to earn this title. She will use these to sign autographs for all the little future Rodeo Princesses at this years Douglas County Fair and I thought I would share them with you all. Visit her at the rodeo with your little future rodeo princess! Posted in "Douglas County Fair and Rodeo"